to make it easier to find and share the videos and channels you love on YouTube, and you made us the #1 free app in the App Store for two months. Since then, we’ve been hard at work to improve the app based on your feedback. 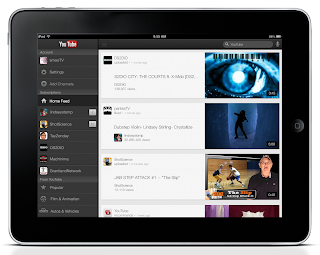 Just in time for the holidays, now you can download or update the YouTube app with a look designed for the iPad and iPhone 5, enhanced AirPlay support, videos that start faster and play more smoothly, and improved accessibility with VoiceOver. Enjoy Tastemade on iPad in full screen glory, or hours of flipping through Ryan Higa videos on your iPhone 5 or iPod touch. Please keep giving us feedback on features you’d like to see so we can keep making it better. In the meantime, we’ll be kicking back with some egg nog and a holiday favorite on our iPad. 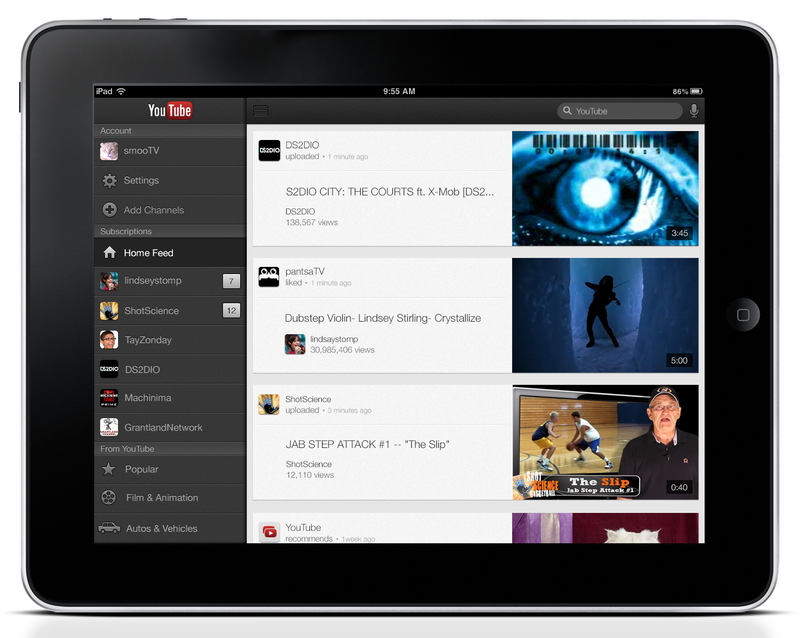 You love watching YouTube on the go—in fact—more than 25 percent of all YouTube watching happens on mobile. This past September you got the YouTube app for iPhone and iPod touch to make it easier to find and share the videos and channels you love on YouTube, and you made us the #1 free app in the App Store for two months. Since then, we’ve been hard at work to improve the app based on your feedback. iPhone 5 Launched has officially launched a month ago, but many are still holding their dreams to get their hands on it. iPhone 5 has undoubtedly a wonderful phone demanded by many.